Back when I was still renting an apartment, I can remember how frustrating it was to not have a lot of say in the decorating of my own space. One area that was particularly hard to add my own personal touch to was the kitchen. Without being able to change cabinets or paint color, it always just seemed like such a dull and lifeless room. That's why, when I ran across the article 7 Ways to Spruce up a Rental Kitchen on Nationwide’s blog, I thought it was a great resource to share with others. Their blog is a great reference site with helpful tip-based articles on almost every topic you could think of from one of the nation's leaders in insurance. Check out these suggestions for 7 ways to spruce up a rental kitchen. Since most landlords will not allow you to paint the cabinets in your kitchen, you may think there is no way to spruce them up. Don't underestimate how much a good cleaning can help to revive cabinets after years of sticky fingers, grease and grime though. Use a mixture of equal parts white vinegar and warm water. Many landlords will not have a problem with you upgrading the hardware on cabinet doors and drawers in your rental kitchen. Save the old hardware in case you want to put it back when you leave, but add your own personality with updated hardware in your choice of styles and colors. Sometimes the flooring in apartments can be outdated, scuffed up and scratched. To easily disguise imperfect flooring, an area rug or mat can be a quick and easy fix, adding much needed color to an otherwise drab area. No one ever claimed to love their avocado green refrigerator, but just because you don't like the color of your older appliances doesn't mean you can't change them. Think about getting customized magnets made up with your favorite family photos. Purchase enough of them to create a colorful and meaningful collage to cover the front of your appliance. You may not be able to paint the walls any color but white in your rental kitchen, but that doesn't mean you can't add some color. Adding in pops of color with dish towels, accessories, curtains and containers can really bring a kitchen to life. Kitchens in apartments are often too small for all of the things you need to store inside them. Carve out some extra space by adding stackable shelves, a side table or rolling cart, or even wall mounted shelves. If you have empty wall space in your kitchen, think about adding some personal photos or artwork. Keeping things all within a central theme will give the space a put together and personal feel. Find yourself unhappy with the drab and plain feel of your rental kitchen, but don't know how to change it? Think about utilizing some of the tips above to breathe some new life into your space. 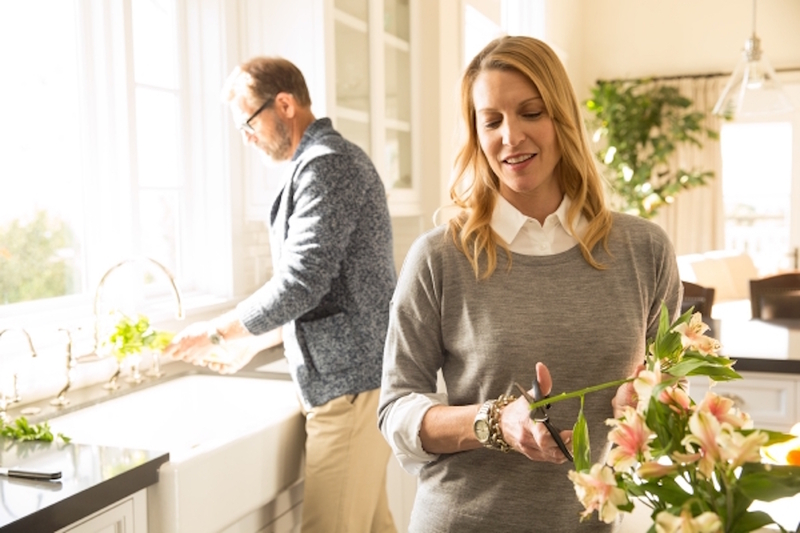 Be sure to visit Nationwide’s blog for more helpful tips and articles for your home.